Pam: Recently, Doug and I crewed on a J/22 at circuit stop regatta. We'd start, couldn't hold our lane, slide down and have to tack away. If we had good boat speed (which we weren't sure of) we were still going to be sailing a longer distance since we couldn't point. To make matters worse, our crew work wasn't stellar. For me, it's a been there, done that ... often, spending a few brief moments with the fleet before waving good-bye and sailing by myself all day. For Doug (who was calling tactics) it was a foreign experience but that didn't stop him from finding ways to compensate for our shortcomings. It was an eye-opening experience to watch Doug emphasize tactics to keep us in the game. I'm always frustrated with all the books and clinics because it's all built on doing everything right. I want to learn what to do to stay competitive when I do more wrong than right since that is my reality more often than not. 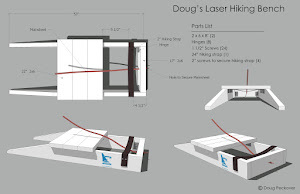 Seeing Doug put into that situation was fairly enlightening. His post below only gives a few examples but really he was making lemonade out of lemons all weekend long ... except for when he fell out of the boat. Even I know that rules 1, 2, and 3 on a keel boat is 'stay on the boat, stay on the boat, stay on the boat.' But I did appreciate him making me feel good about myself for getting that part right. 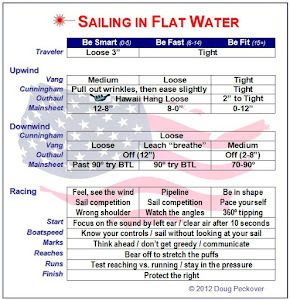 Doug: Sailing without knowing how to tune a boat meant not-so-good boat speed which is, for me, a new experience. So crewing for a skipper new to the J/22 Texas circuit was a learning experience for all of us. It was different because sailing on a lake and being higher off the water gave us a better view of what the wind was doing. Our starts were good so we had clear air, but we could not point upwind and had mixed spinnaker work downwind. We did manage to win one race, not using speed but tactics. Here are two things that made the difference. As shown on the left, we're green in second place on the last run with our chute up. Red is a faster boat and is reeling us in. The natural instinct is green heading a little higher to keep out of red's wind shadow while trying to catch yellow. The problem is that red knows that it's faster and will still roll us, as shown in the middle picture. If we fight to protect against red, yellow simply jibes and gets away. Trying to hold our position with red will not work so a third place looked inevitable. The solution was counterintuitive because it involved green going low instead of trying to defend against red. We waited for a little extra pressure to do this because bearing off always stretches the puff. As soon as we were in red's wind shadow, we jibed away hoping that red would see yellow as the boat to beat. This worked, and they continued with yellow trying to defend and red trying to pass. They were unable to play the different pressure on the course, so when we converged at the bottom mark, we had taken the lead. Woohoooo! On the left, we're in the same breeze, which is what red wanted because of its better speed. If we get a slight lift for a few seconds and we tack, as shown in middle left, we're immediately on a starboard-tack knock which is bad. If we wait for a knock we can tack to get an immediate advantage from the better angle, as shown in the middle right. This works well in a Laser/Torch because you can tack on a small shift and then tack back again as needed. But in a J/22 with an inexperienced crew, this is risky because we were losing too much on our tacks and red was definitely gaining on us. So we waited for when we were both knocked and were almost straight ahead, as shown on the right. Thankfully this happened just before the layline. We tacked, they followed, and we were just able to hold them off at the finish line. Our first Texas circuit bullet!! That night our skipper called any friend who would listen to tell them the good news. For me, sailing without good boat speed was frustrating. For Pam, it was welcome-to-my-world. But I've always thought that you learn more in the middle of the fleet than at the front or the back. It was hard making mistakes knowing that catching smart, faster sailors would be almost impossible. But getting near the leaders and occasionally having the chance to try different tactics to beat them made it an excellent learning experience and really fun weekend. I think you are on to something. How to not too badly in races when your boat speed is inferior to the fleet. It could be a book. Or a blog. Or at least a whole series of blog posts. The market for this information is huge. Anyone can read all of Stuart Walker's books about how he won all those races by being as fast as Buddy Melges AND having great tactics. 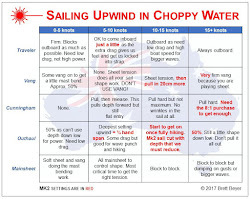 But 90% of sailors are struggling with how not to end up too far down the fleet when they don't have great boat speed. I agree with Tillerman - this was a great post. And the combination of someone I can identify with (hint - it isn't Doug) writing about this along with Doug's racing expertise is dynamite. Keep them coming. We're glad you like this format. You inspired us to do more.